Families from many different cultures have sought us out and their children have formed close friendships in our warm and supportive setting. We celebrate each child’s uniqueness and have found that the children greatly enjoy learning each other’s languages and building early friendships within our community. We have welcomed children from many different countries around the world: Norway, Hungary, Holland, Austria, Italy and Spain, India, Singapore, The Philippines, China and Japan, Africa, the Carribbean, Poland, Australia and America! We often encourage new parents from other cultures to share their child's favourite song in their own language, which we will try to learn and sing with them. Our staff also speak several different languages and we all try to learn some key words and phrases in each child's home language if we do not speak it ourselves. These children arrived from very different cultures and were very shy at first, not speaking any English. It was wonderful to see the difference after only a year, as they transformed into outgoing and sociable little people, surrounded by friends and ready for school! These twins wouldn't play with anyone but each other when they first arrived, but soon began to show us what amazing, imaginative little people they were. Before long, everyone wanted to be their friends! They are now mature, accomplished young girls who write books and play violin and cello in their school orchestra. Our school was one of the first custom-built nurseries in the 1920's and, in keeping with the philosophy of Freiderich Froebel, the children are brought into contact with the natural world at every opportunity. Most of our playthings are made of wood and every room has large windows on to the garden. Our philosophy and materials are inspired by Friedrich Froebel, Rudolf Steiner and Maria Montessori, to encourage the joy of learning and develop children's natural curiosity. Our curriculum follows the seasons and celebrations of the year. 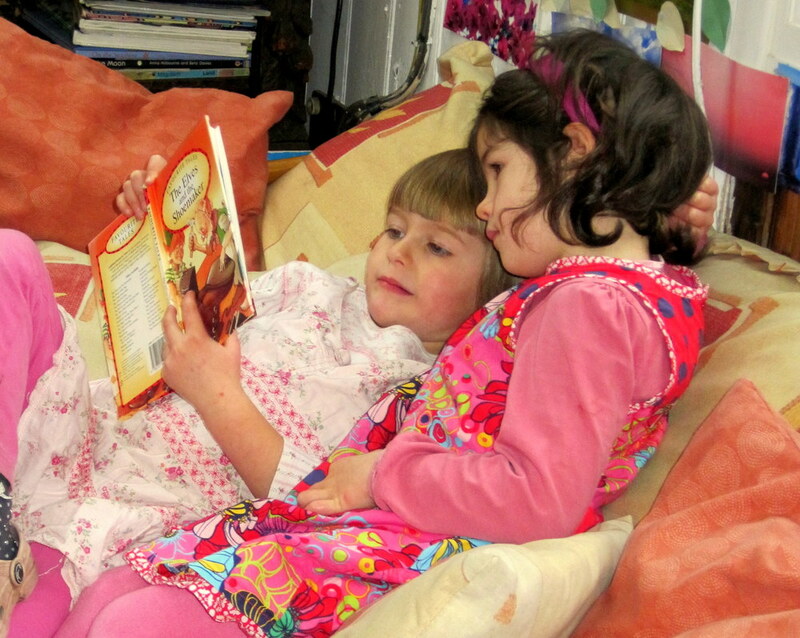 The nursery provides a peaceful, unhurried learning environment which develops self-confidence and caring for others. We encourage children to grow in harmony with nature and become resourceful and responsible individuals. Our greatest pleasure is to see each new little child grow and develop into confident, happy individuals over the course of their 2 or 3 years with us, becoming fluent in English if they arrive from overseas, and forming close and lasting relationships with other children. Many of our former pupils love to revisit Hunsdon House. These two quiet little girls found each other and developed an inseparable friendship which is still going strong today, now they are ten! 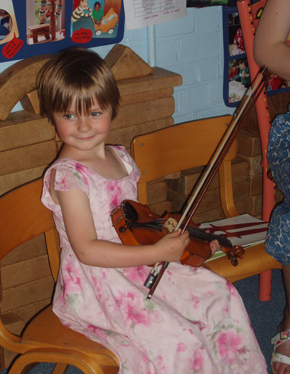 Often our children continue to deepen the musical experience they started at Hunsdon House by learning an instrument of their choice later on.